The Moon is New in Sagittarius today with the New Phase lasting through December 3rd. If you haven’t made your New Moon wishes, intentions, or figured out what New Moon Dream to manifest this month, here are a few tools for the day that might inspire you. If you have already made your intentions, wishes, or dreams, these tools can help you stay attuned to the energy of the Sagittarius lunation throughout the coming four weeks. As I write this at 5:30am, I am sitting in the darkest hours before the New Moon. I’ve cleaned the table in my office of all the items that helped me through the Scorpio lunation and will soon assemble some items associated with Sagittarius. Seeing them daily builds my confidence and my resolve that I will reach my New Moon Dream. My table serves as an altar, a shrine of sorts, to what I want to accomplish in the coming weeks. One of the things that can always be found on my New Moon table is a candle ~ a light against the darkness. It burns as part of my New Moon ritual. Others will take its place during the course of the month, but the one used in my ceremony must be new like today’s Moon. The candle doesn’t have to be big. I’ve used Hanukah and large birthday candles and they serve very well. The word “altar” might scare some people away in fear of tapping into some strange energy, but once it’s understood, it’s really beautiful. The origin of the word “altar” is muddled, but it’s similar to the Latin adolēre which means to burn ritually. The Ecclesiastical meaning is communion table. Both of those definitions fit what my New Moon candle is doing while it burns against the darkness. The light that it emits, even in daylight hours, is a communion ~ a conversation ~ with the greater spirit about my dreams and wishes for the future. Light one anytime at all. I’ve come to think that anyplace a candle is burning serves as an altar. Light one to set a romantic mood and you have built an altar to love. Burn one while bathing and you’ve built an altar to cleanliness and relaxation. Place one next to a photo of someone you love and you are building an altar for a heart connection, a communion with them. I came across this fantastic photo on pexels.com of a shrine of sorts ~ to cupcakes! Sagittarius would definitely appreciate the humor ~ and the reverence ~ in this little altar. An altar is also a place where an oath is sworn. 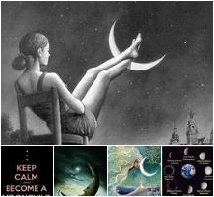 Don’t be hesitant to speak your New Moon Dream out loud. You might be surprised at how much power is pulsing in your spoken word. Read more about altars and shrines: different kinds and how to build one. Where do you want to go? How far from home? Very far? Not far at all? Hiking? On a cruise? An armchair journey? Of the mind? Spirit? Sagittarius is waiting to take you there. The Zodiac Tarot’s card for Sagittarius is The Airplane. It speaks of far away places (probably exotic, right? ), new adventures, and a wider world view. This deck is out of print and very expensive these days, but it wouldn’t hurt to print this pic and keep it in your New Moon journal as a reminder of the distance that you will travel before the next New Moon on December 29th, the last New Moon of 2017. Where will you be in a month, a year, five years. How far do you really want to go? My mother took her first long journey on an airplane when she was well into her eighties. It was a trip from Texas to Georgia, the furthest she ever traveled in her life. The pilot heard that it was her first airplane trip and made it very special for her by pinning a pair of wings on her shirt. Those wings will definitely be part of my New Moon ceremony today. Most people would think that flying from Texas to Georgia is just a short hop, a quick trip, but it’s different for all of us. Don’t ever think that your journey isn’t as impressive as anyone else’s. Yours is the journey of a lifetime. It’s time wear your turquoise. This beautiful stone is used extensively in Native American jewelry. If you have some that you haven’t worn in a while, pull it out of its resting place and wear it during the Sagittarius lunation. Loose stones are easy to find, too. It’s a stone closely connected to the Sagittarian quality of wisdom and joy. In Healing with Gemstones and Crystals, author Diane Stein tells us that turquoise “heals sadness about one’s life and deeds, heals karmic and this-life shame and guilt.” Joy Gardner says that turquoise will give the wearer of this stone greater wisdom, one of Sagittarius’s pursuits. (Color and Crystals, a Journey through the Chakras). If you don’t have turquoise jewelry or stones, you can wear the color turquoise or place a turquoise colored vase ~ anything at all ~ in a place where you can see it regularly during this lunation. This is one of the most revered of all the numbers and it just happens to be associated with Jupiter, ruling planet of Sagittarius. 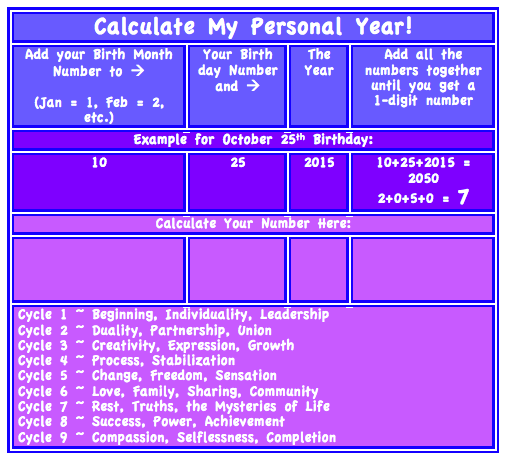 It’s the number of joy, spread as often as possible through Jupiterian humor, wit, and wisdom. It’s the number of honest self-expression and commands us to BE WHO YOU REALLY ARE. Free-sprited Sagittarius knows no bounds, will not be fenced in, dares to go where no one has gone before. It’s exciting! Gather three things that you really love that you can place on your New Moon altar or table, on your mantle, anywhere, and keep them there through the entire Sagittarius lunation. They can be a collection of one type of thing ~ seashells, for example ~ or three unrelated items that are very meaningful to you. It doesn’t matter what you choose. The power is in the number 3. More: Do you identify with the Number 3? This month’s work book includes a special bonus to help you stay in tune with the phases of the Moon through the whole of 2017. Learn more about the what’s included in the work book. Tanks, Melodie. Happy New Moon!